Capturing Venice : Merry Christmas! 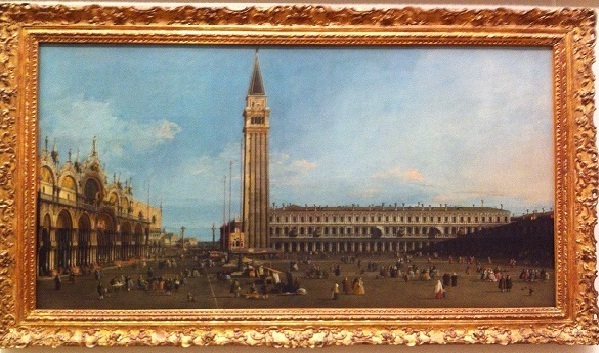 I was on holidays earlier in the week, and while wondering around the Art Gallery of NSW, stopped to enjoy Canaletto's Piazza San Marco (1742-6). I also received an early Christmas present from my husband: Judith Martin's No Vulgar Hotel, The Desire and Pursuit of Venice (W.W Norton & Company, New York & London, 2007). The back cover reads: "This is the definitive book for managing an incurable passion for a decaying, waterlogged village. Whether you have a raging case of Venetophilia or are among the fifteen million people who yearly put themselves in danger of contracting it, here is where you can get your fix of Venetian wit, history, practicality, and enchantment". To all my readers and Venice/ Venezia bloggers - thank you for sharing your photos, knowledge and love of Venice, and for giving me my daily dose of my beloved city.